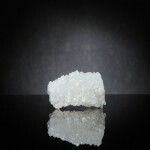 This raw/natural aquamarine crystal is in a chunk of quartz. 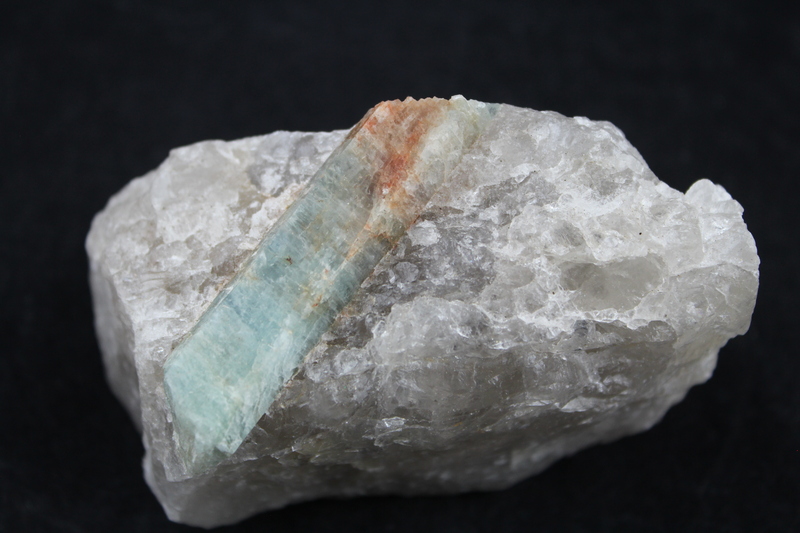 Cool blue aquamarine is part of the Beryl family of gemstones. 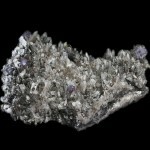 Its name is derived from Latin, meaning “sea water”.Known as a stone of courage, it stimulates and activates the throat chakra. SKU: Aquamarine in Quartz #6. Tags: Brazil. 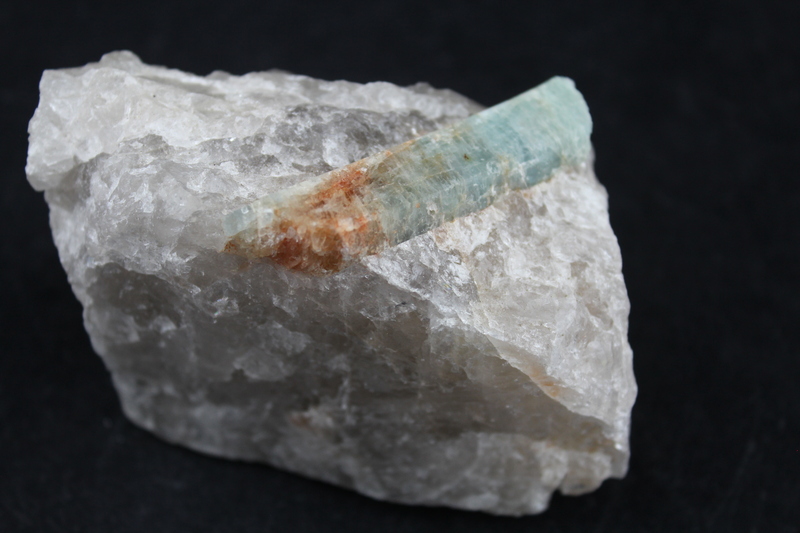 Aquamarine crystallizes in the hexagonal system as well-developed, six-sided, transparent-to-translucent prisms. 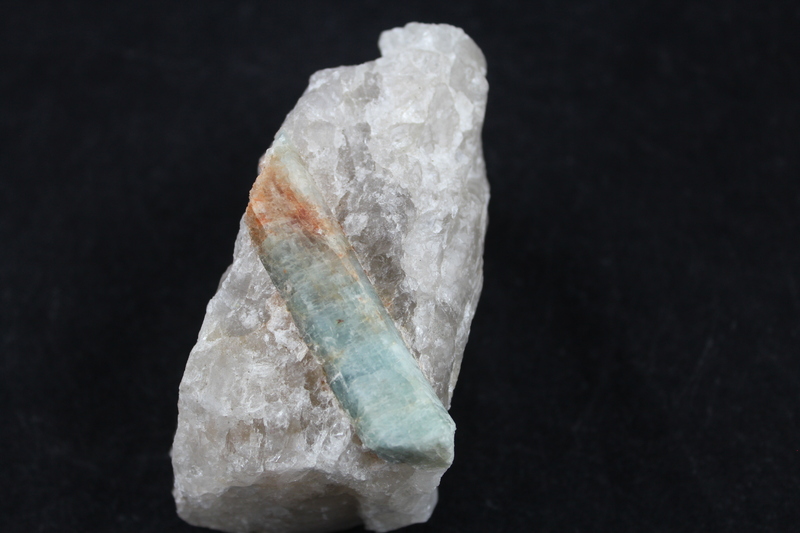 It has a blue-to-greenish-blue color, a vitreous luster, a Mohs hardness of 7.5-8.0, and a specific gravity of 2.6-2.9. It occurs primarily in granite pegmatites in association with such minerals as albite, quartz, and muscovite. 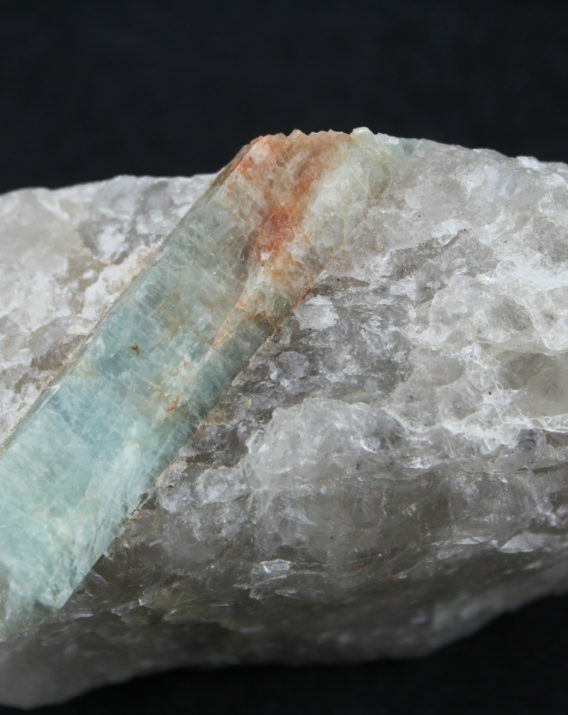 According to modern metaphysical practitioners, aquamarine provides foresight and courage; enhances happiness, intelligence, and youthful qualities; and alleviates anxiety-related stress. Aquamarine has no technological uses. 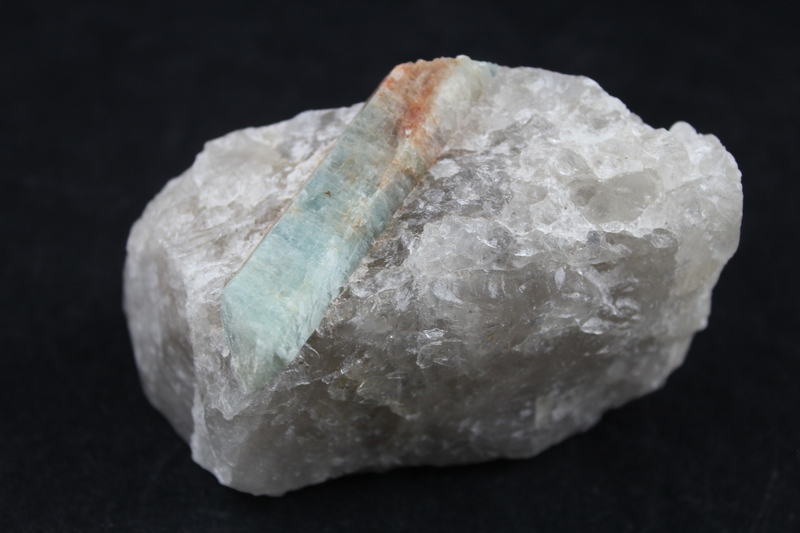 Aquamarine is valued by collectors because it is an uncommon variety of beryl, and also for its pleasing blue colors, well-developed crystals, and occurrence in attractive composite specimens with other pegmatite minerals. SKU: Aquamarine in Quartz #6 Tag: Brazil. 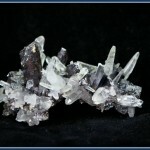 Compound Stalactitic Quartz 1 1/2" x 3/4"